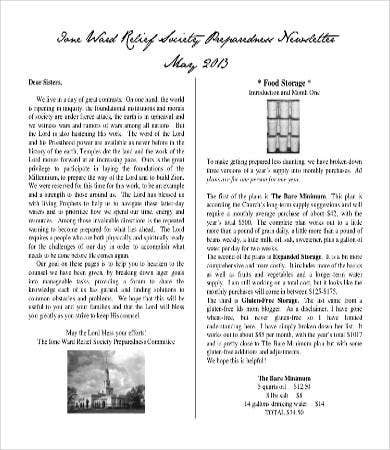 A newsletter is a periodical or bulletin that is issued regularly to members of a particular group—a business, a school, or other organizations. 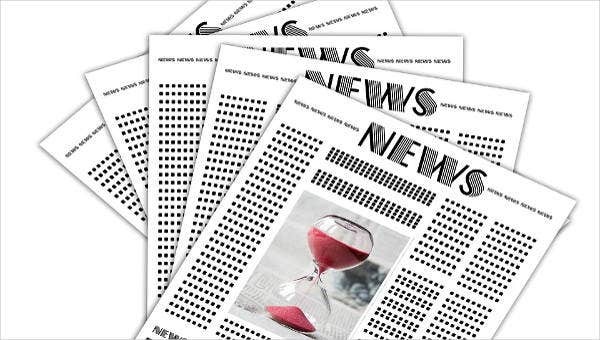 They are something of niche newspapers covering announcements, events, news reports, and features that will be of specific interest to the exclusive group it caters to. If you are part of such a group and it falls on you to write such a thing, you might want to find a good Newsletter Template to make this routine responsibility easier than it probably isn’t. This is a varied list; feel free to download the ones that apply or interest you. 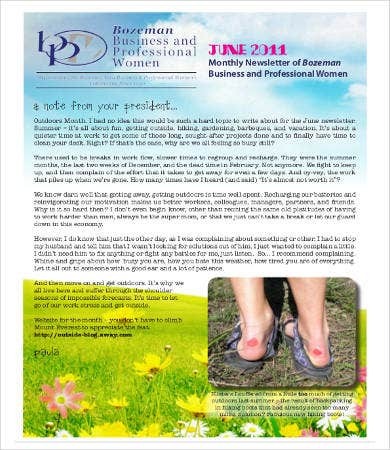 Newsletters tend to be issued monthly, although some institutions may have weekly publications of much fewer pages. However you manage this, remember that the key purpose your newsletter has to serve is the community you belong to. 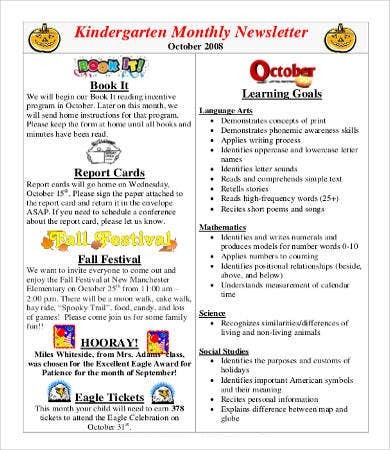 You may be a primary school teacher encouraging learning, sharing, and community values through these newsletters (see Kindergarten and First Grade Monthly Newsletter Template). 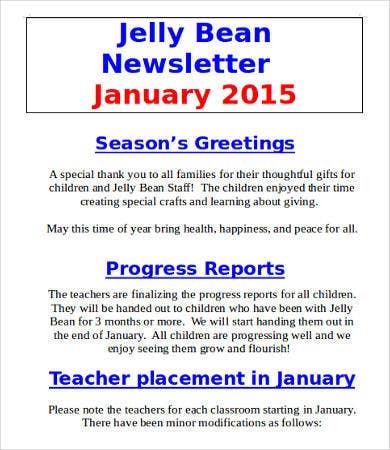 In all these cases, a newsletter is a great way to address shared concerns and celebrate shared events. 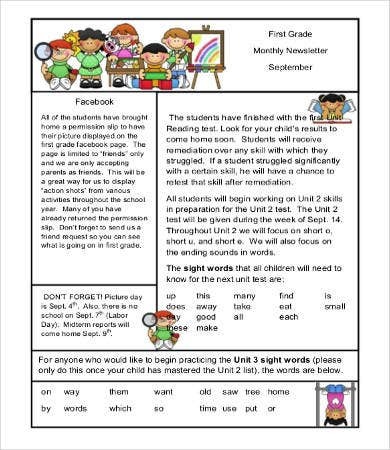 There are a lot of examples provided here for school newsletters. 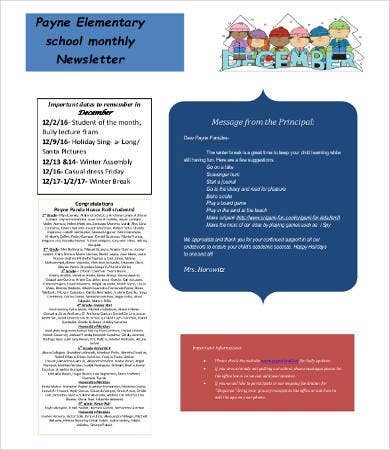 One reason is that when distributed to the families through the students, the ward’s grade level will tend to change the format and content of the newsletter. Perhaps another is that nowhere else is communication of a myriad of details and announcements so often lost in the everyday whirlwind of paperwork. 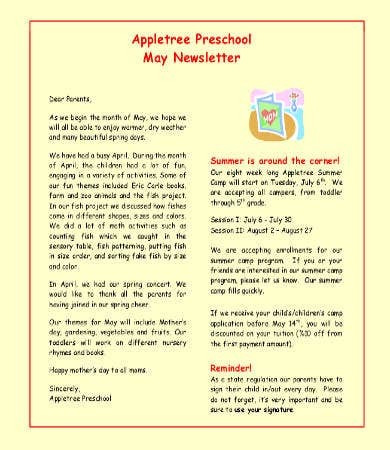 Newsletters, as you can see from any Sample Monthly Newsletter Template on this list, keeps everyone informed and on the same page. 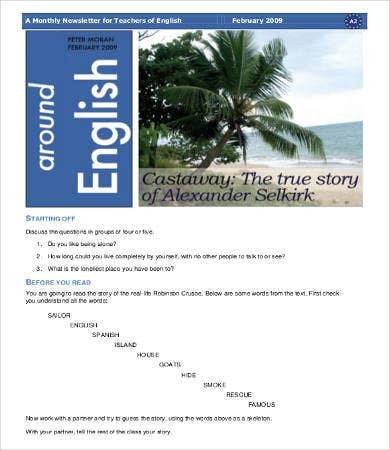 If you’re first starting out, a good Word Newsletter Template will be an easy way to save on drafting costs and time. 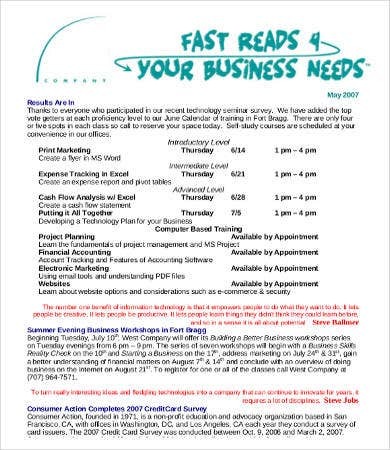 Perhaps you think your office bulletin board is enough for your purposes, and if your company is not one of open communication and sharing of ideas, this might be the case. 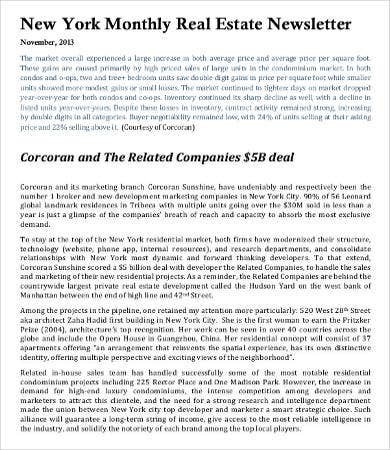 Otherwise, it would be well worth your time investing effort and resources to craft a good Company Newsletter Template you can modify for every month’s publication.